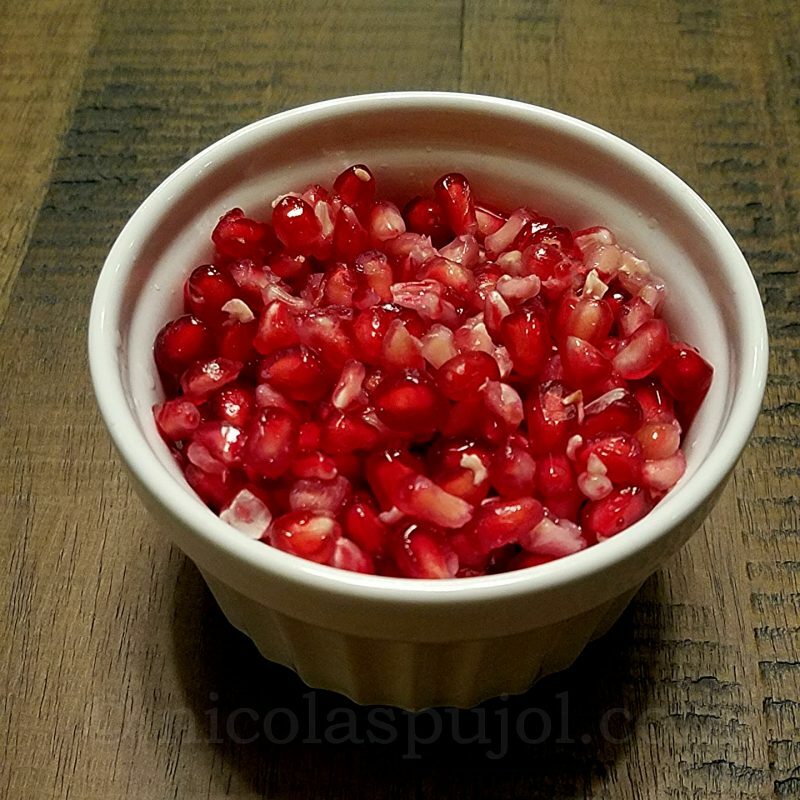 Pomegranate is a seasonal fruit that we find mostly in fall and winter in the US, while it can be found in other months of the year in regions with a different climate. 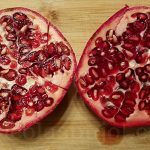 Pomegranates taste like a cross between lemon and berries and contain edible seeds. I usually eat all seeds from the fruit by just biting and chewing them, and find them to be quite tasty. Our family uses this fruit for many purposes: as decoration for cocktails, to add to white wine, prosecco, champagne. 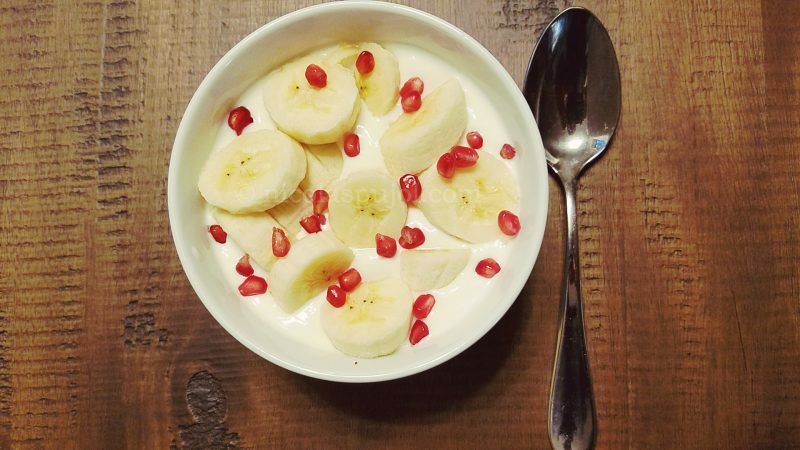 We place them in fruit salads, add a few seeds to plain yogurt. Sometimes, we just like to eat them on their own. 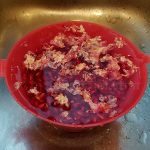 How to easily extract pomegranate seeds is both an art and a science, and that’s what this post is about. 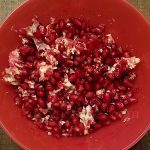 The thing with pomegranate seeds is that they can be hard, time-consuming and laborious to extract. When not extracting all of them, we may waste a lot of the edible seeds that remain trapped in the skin layers. Removing seeds can also be messy. 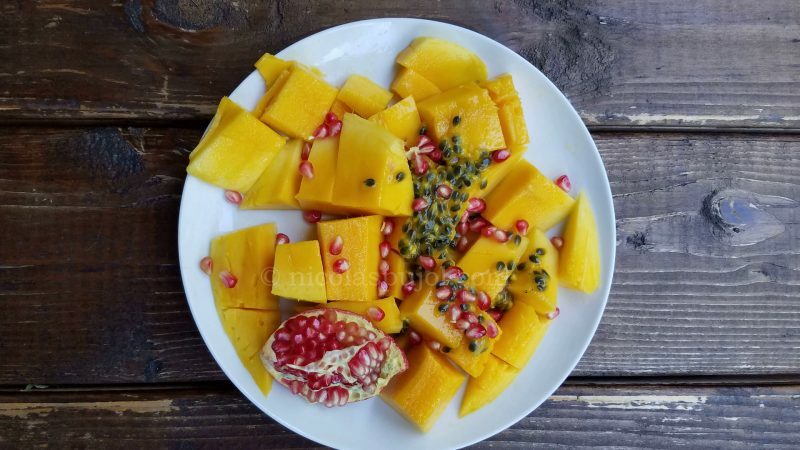 Every time we squeeze some of the fruit to open it, seeds pop out in various directions, the juice can splash around as well. For most people, eating pomegranates is fun. Preparing them is pain and a messy hassle. 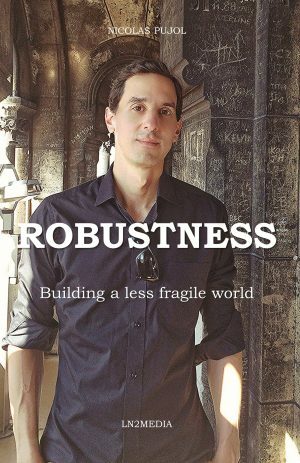 It was our case until we found a tool that makes it much easier. This recipe here is how to enjoy a plain pomegranate by using this tool. You can find this extractor under several names and brands, you will easily recognize it by the shape and its components. One of the common brands is Shoham Pomegranate Arils Removal Tool. 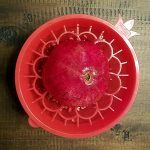 This article can serve as a how-to guide for using the Shoham Pomegranate tool or similar items. 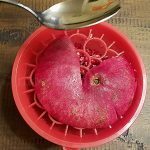 We show a step by step method to extract pomegranate seeds using a specialty tool that makes it easy and without the mess. 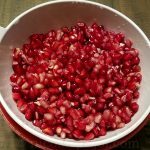 Cut the pomegranate into two slices. Place the first half into the seed extractor and cover with lid. 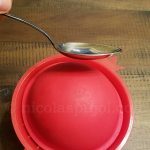 Take a large metal spoon or flat fork and tap multiple times from the top down, hitting different spots on the lid to make the seeds fall into the container. Repeat the operation for the second half of the fruit. Before discarding each half, check the inside for areas where seeds remain, then finish tapping that area without the lid to remove these extra seeds. Place the seeds with their skins that fell with them into a mid-size bowl. Slowly pour cold water on top and gently mix with your fingers to make the skins float to the top of the cold water. Remove skins and continue stirring with your hands until you were able to remove most of the skins. 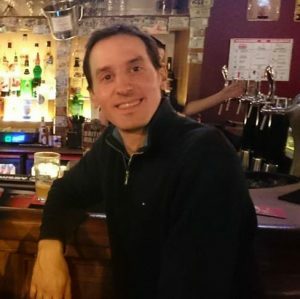 Some small amounts will remain, but the vast majority will be gone. 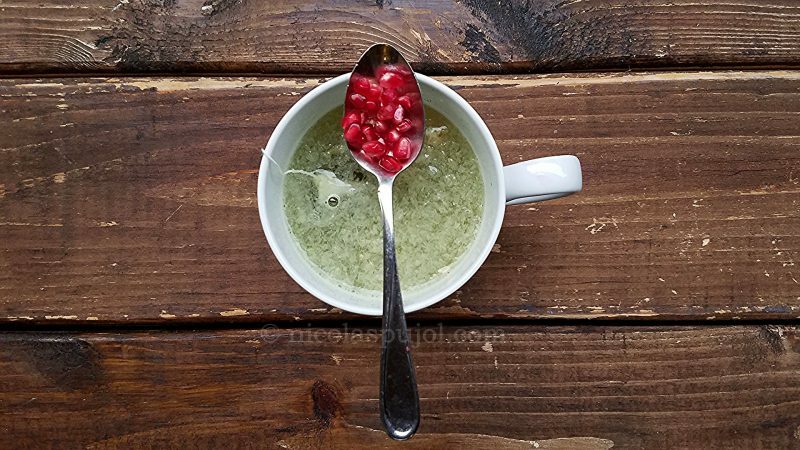 Strain the remaining seeds and serve into a bowl to eat on its own, or mix with your ingredients of choice.